Blockchain is the transparent and secure decentralized ledger behind Bitcoin and other cryptocurrencies, but its usefulness extends to a lot of other areas of tech. Now the two companies will use it to uniquely identify hard drives — and perhaps other products — to prevent counterfeiting. IBM blockchain leader Jerry Cuomo recently told me that Big Blue has 1,500 blockchain specialists. The joint project is designed to help manufacturers, integrators, and business partners fight counterfeit hard drives, using the IBM Blockchain Platform to authenticate the provenance of disk drive products and bringing a new level of multi-layered security protection to the data management industry. According to the International Anti-Counterfeiting Coalition, global trade in counterfeit and pirated electronics has reached more than $1.7 trillion. To counter this, the partners are creating an “electronic fingerprinting” system. Blockchain technology provides an immutable record of an object of value throughout its entire life cycle, so that no single party can change or append the data without the consensus of the network. Once on the blockchain, data can be shared with other relevant parties that have permissioned access — so the entire ecosystem of trading partners can ensure that what they are getting is authentic. The eID and Certified Erase capabilities are built on Seagate Secure technology, which can enable higher levels of trust of product provenance and proof of data erasure. 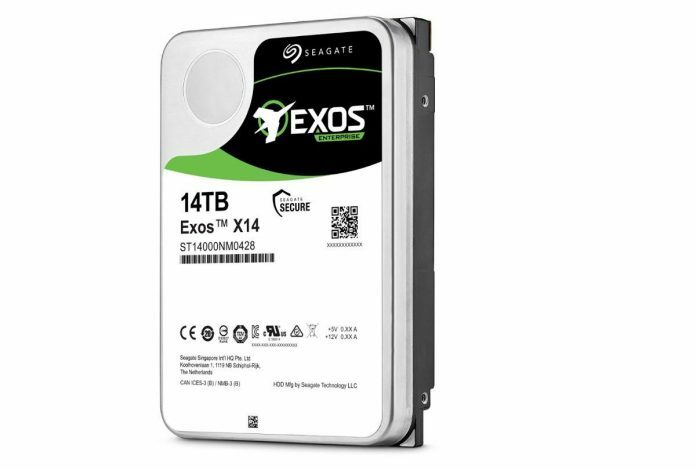 Customers can benefit from knowing that a drive is a genuine Seagate product and that any data on it can be securely erased, which can assist customers with their efforts to adhere to international compliance standards.